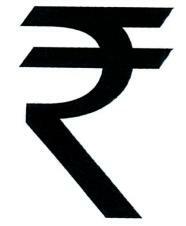 Last week, India unveiled a symbol for its rupee currency that it hopes will become as globally recognised as signs for the dollar, the yen, the pound and the euro. Ministers made their final decision at a cabinet meeting after examining a shortlist of five designs inspired by the letter "R" in the Roman alphabet and "Ra" from the ancient Devanagari script used in Hindi. A bit of historical Information. Due to dissatisfaction with British rule, a serious rebellion erupted in various parts of North India; Meerut cantonment's sepoy, Mangal Pandey, is widely credited as its starting point. It came to be known as the Indian Rebellion of 1857. I see quite a lot of visitors to this site but have not seen any further contribution about Pratapgarh here. Lots of details about history, places, news ..are still not there. So any update is welcome. Please use Blogs or Forums for this purpose. Pratapgarh is in limelight due to recent visit by Rahul Gandhi with Gates. Gates was visiting Amethi, Rae Bareli and Pratapgarh with the aim of striking a partnership between the Bill & Melinda Gates Foundation and the private Rajiv Gandhi Charitable Trust that runs welfare projects in the Rae Bareli, Sultanpur and Pratapgarh districts. Gates, co-chair of one of the biggest charitable organisations in the world, spoke to villagers, with Rahul Gandhi playing the role of guide and interpreter. An interesting news, read few days earlier in Jagran website and sharing with you all. Women police station would be setup soon in Pratapgarh. Districts where women police stations would be set up also include Pilibhit, Haathras, Kannauj, Auraiya, Lalitpur, Sitapur, Unnao, Barabanki, Chitrakoot, Mahoba and Jaunpur as well. "As announced by Chief Minister Mayawati earlier the state government has issued orders for setting up of women police stations in 29 districts and has also given approval for required posts and staff," an official spokesman said today in Lucknow. PTI - A local court today summoned Bollywood star Sanjay Dutt on April 24 in the case filed against him for his "jadoo ki jhappi and pappi" (magical hug and kiss) remark on Uttar Pradesh Chief Minister Mayawati during last year's Lok Sabha elections. Chief Judicial Magistrate Anirudh Kumar Tewari issued the summons for Dutt's appearance when the chargesheet filed in the case came up before the court. 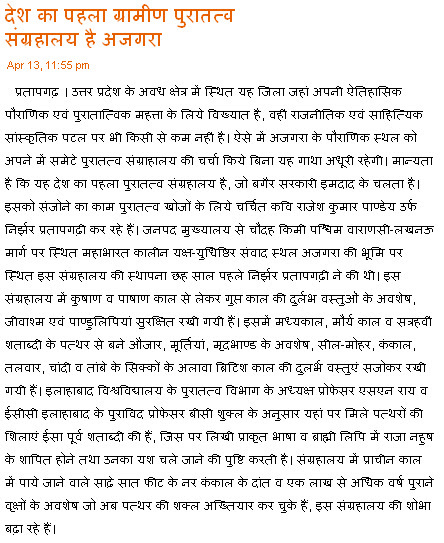 Another interesting blog by Sunita Aron about gun culture prevalent in UP. She blogs about her experience while in Pratapgarh. See some excerpts from original article below. Just checked an article by Joginder Singh at the pioneer website. I agree fully with his observations about stampede incidents in India. Whenever a tragedy of this nature occurs in our country, the Government of the day, as an afterthought, announces compensation for the next of the kin of the victims and those injured. Then the matter is forgotten till the next disaster strikes. It is worthwhile to note that such incidents of stampede occur mostly at religious places, and that too in Asia and Africa and never in developed countries.